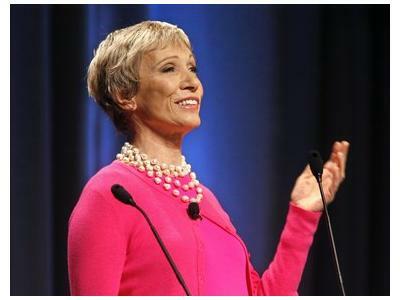 Barbara Corcoran has had her ups and downs in the world of business and pushing through all the naysayers who said that a D student couldn't make it in this world. Barbara not only proved the naysayers wrong, but she embarassed them. Today, Barbara is a highly sought-after expert in business growth and success, which has led her to become one of the key investors on ABC's hit show Shark Tank. She will be on to share insight on creating a successful and sustainable company through creativity and courage. Barbara Corcoran’s credentials include straight D’s in high school and college and twenty jobs by the time she turned twenty-three. It was her next job that would make her one of the most successful entrepreneurs in the country when she took a $1000 loan to start The Corcoran Group. She parlayed that loan into a five-billion-dollar real estate business which she sold in 2001 for $66 million. Barbara is the real estate contributor to NBC’s TODAY Show where she comments weekly on trends in the real estate market. Barbara is also an investor/shark on ABC’s reality hit Shark Tank, now in its third season. Barbara bought 11 new businesses on the show which she’s now shepherding to success. Barbara is the author of three books including her most recent, Shark Tales, detailing her inspiring true story and her best advice for anyone starting a business. Motivational, inspirational, and sometimes outrageous, Barbara Corcoran’s tell-it-like-it-is attitude is a refreshing approach to success.